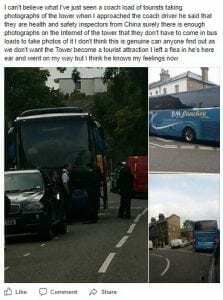 A coach company has caused outrage by parking up yards from the charred remains of the Grenfell Towers blaze where dozens perished in June so that Chinese tourists can take photos and selfies by the tragic shell of the residential flats. Despite signs locals have put up asking people to show respect and refrain from taking photos, residents were outraged on Wednesday to see a whole coachload of tourists snapping away at the 24-storey site of the blaze where many families perished. All I do is want to cry about that, NOT TAKE DAMN SOUVENIR PHOTOS!!!!! That was a needless tragedy. It wasn't an engineering problem - it was a cheap scape problem. Contractors can't be trusted. 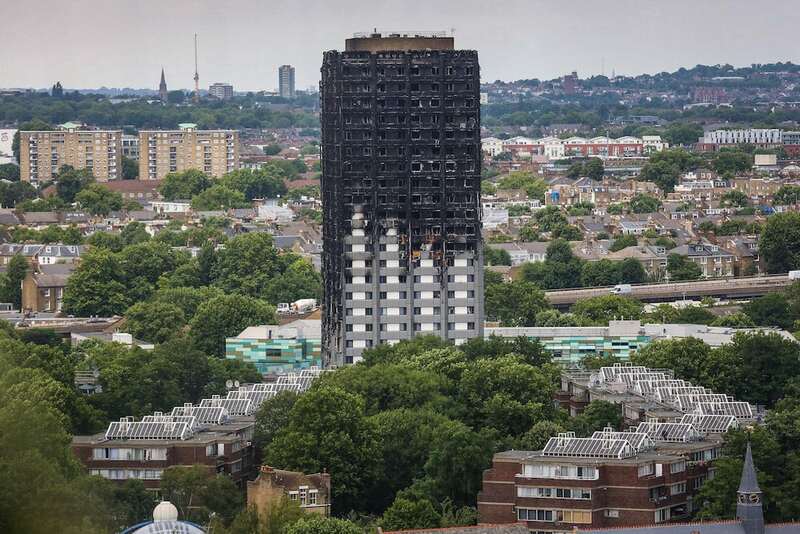 They would use cardboard cladding if allowed. The building inspectors, and permitting department should be tried for negligence for allowing that cladding. Chinese engineers, health and safety experts may be laughing their asses off about Britians terrible building codes. Not that China is any better with corruption. We had to procure a magnifying glass to read Stephen's post, which is precisely the point: someone hurts their eyes with a glass magnifier, and the world's prisoners of capitalism are no longer left with a choice, but must rely on Chinese plastic magnifiers. This is not a little matter, their pathology, just as the U.S. military is aware, has to do with surveillance. We confronted a Chinese man scanning buildings with a DJI Mavic Pro in the capital of Wisconsin. That machine's video also becomes property of the DJI company? Is this correct? What is the DJI company?